Since moving we are currently restricted to pots for our veg but I have still been harvesting some tasty salads. Everything in the bowl is container grown – mostly from seeds except the sorrel which we transplanted from grown to pot to bring with us. 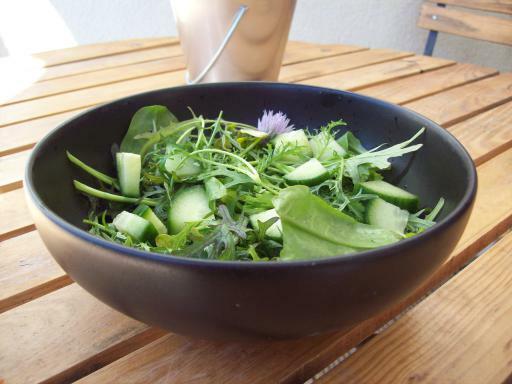 The main flower of this salad is the chive flowers which I had not realised until about month ago were edible – they give a delicate onion flavour but are not over powering and they give a lovely look to the bowl. I added some colsaw but a honey and balsamic vinigarette would have worked well with it.